Persistence is an important key to getting what you want in life. Those who succeed may not have greater IQ’s, fancier opportunities, better luck, or more money. They just may have more persistence! Persistence means you suit up, show up, and stand up again… and again. 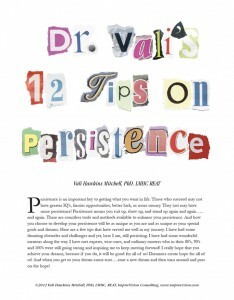 There are countless tools and methods available to enhance your persistence. 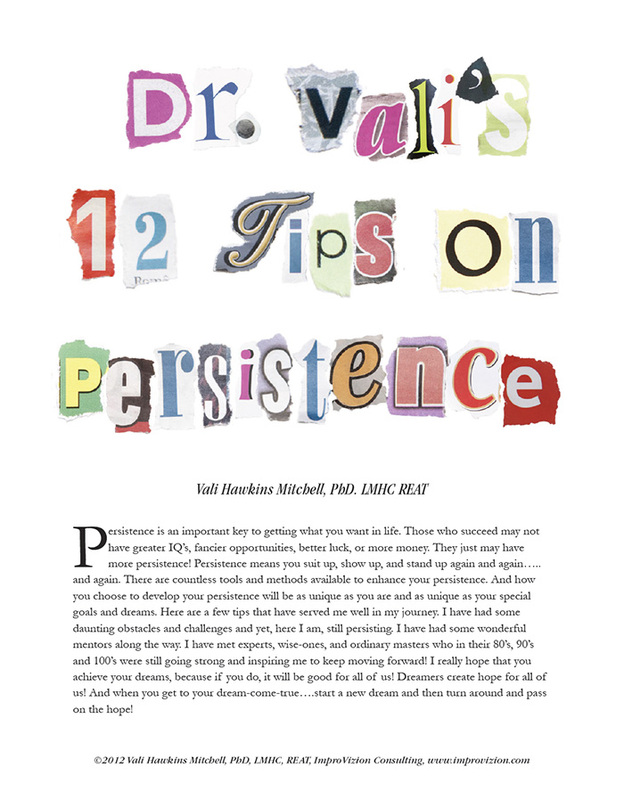 And how you choose to develop your persistence will be as unique as you are and as unique as your special goals and dreams. Here are a few tips that have served me well in my journey. I have had some daunting obstacles and challenges and yet, here I am, still persisting. I have had some wonderful mentors along the way. I have met experts, wise-ones, and ordinary masters who in their 80’s, 90’s and 100’s were still going strong and inspiring me to keep moving forward! I really hope that you achieve your dreams, because if you do, it will be good for all of us! Dreamers create hope for all of us! And when you get to your dream-come-true… start a new dream and then turn around and pass on the hope!